Chinese New Year is around the corner and I'm in the mood for this festive season! Unfortunately I can't go back this year because I have used up all my friggin leaves.. So! 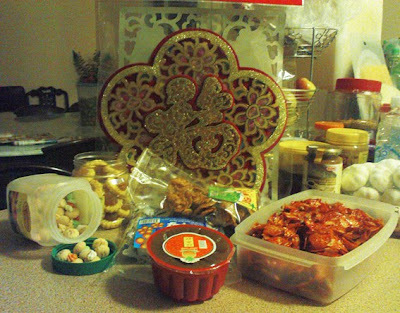 to make myself mentally happy, I treated myself some CNY biscuits and a deco to make me feel like home!